CarGurus has 4,702 nationwide Volt listings starting at $4,995. To typical car buyers, the future of personal mobility is like a sci-fi movie blending the fantasy of “The Jetsons” with the environmental militancy of Greenpeace, starring Edward Snowden. Change is constant. Rally against it all you want, but it won’t do you any good. Change characterizes how the world has worked, how the world currently works, and how the world will work in the future. Right now, following a century of transportation solutions largely dependent upon gasoline, the automotive industry is grappling with more change than is usual. Google wants to build autonomous cars without steering wheels. Several automakers are building fuel-cell cars that emit nothing but water vapor into the atmosphere. Tesla is building electric cars that travel substantial distances without requiring a recharge. And average consumers are skeptical...about all of it. To the typical car buyer, predictions about the future of personal mobility represent a sideshow blending the fantasy of “The Jetsons” with the environmental militancy of Greenpeace, starring Edward Snowden. Some people, however, might find self-driving cars with built-in valet service intriguing…until they get stuck standing in the rain waiting for a traffic jam of smart vehicles to dutifully exit the mall’s parking garage. They might find fuel-cell vehicles appealing…as long as they live in California near one of a handful of hydrogen filling stations. They might find electric cars compelling…until they run out of battery 20 miles from home and the nearest charging station is either occupied, broken, or too far away. Chevrolet’s redesigned 2016 Volt is a soothing answer to fuel-related “what if” scenarios, representing a perfect bridge between gasoline and whatever energy source we are going to use in the future. While I am a fan of fuel-cell technology, it's going to take a long time to build an infrastructure to support it. This situation means that electricity is the more viable short-term alternative to gasoline. The problem with electric cars is that you need to stop and recharge them, usually after 100 miles or less of driving (though this is changing thanks to Chevrolet’s new Bolt and Tesla). Plus, recharging takes longer than refueling a gasoline engine, even if you plug in with a municipal fast-charger. Furthermore, sometimes you arrive at a bank of electric car chargers and there isn’t one available, a problem I’ve had in Santa Monica, Calif., parking garages. All these downsides to EV ownership can add unnecessary anxiety and stress to your life. Chevrolet’s legitimately brilliant solution to making your life greener and easier at the same time is the 2016 Volt, an electric vehicle with a range-extending gasoline generator. It uses nothing but electricity for most commutes and errands, but when something comes up that requires longer-distance travel, or you can’t find access to a charger when the battery gets low, the Volt also burns gasoline to power its generator, which means it doesn’t suffer the limitations associated with other electric cars. But wait, you’re saying. Don’t plug-in hybrid cars do the same thing? Yes, but right now plug-in hybrids provide much shorter electric driving range, typically half of what the Volt provides or less. Thus, the average person ends up using more fuel than they would with the Volt. In fact, Chevrolet estimates that the average Volt owner will need to stop at a gas station once every 1,000 miles, as long as they’re recharging the car on a regular basis. We’ll discuss how the Volt works in greater detail in the sections that follow. In the meantime, let’s talk about pricing and our specific test car. 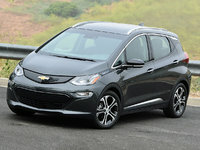 Chevrolet offers the Volt in LT and Premier trim, the base price amounting to $33,995 including the destination charge. A federal tax credit of $7,500 effectively reduces the price to $26,495, and if you live in California, a rebate of $1,500 brings the cost even lower, to $24,995. Plus, you’ll get a carpool-lane access sticker that helps to avoid traffic in places like San Francisco, Los Angeles, and San Diego. My Mosaic Black test car had Premier trim, which requires a $4,350 premium. It pays for leather upholstery, heated front and rear seats, heated side mirrors, a heated steering wheel, and a Bose premium sound system. Additionally, the Volt Premier is equipped with wireless device charging, automatic parking assist for parallel and perpendicular spaces, and machined finish aluminum wheels. To this, my Volt added both of the Driver Confidence option packages ($990), installing forward-collision warning with low-speed automatic emergency braking, lane-departure warning and lane-keeping assist systems, a blind-spot warning and lane-change alert system, rear cross-traffic alert, and automatic high-beam headlights. For the price, the upgrades represent a strong value. Add a navigation system, and my test car’s window sticker read $39,830 ($30,830 after the federal credit and California rebate). 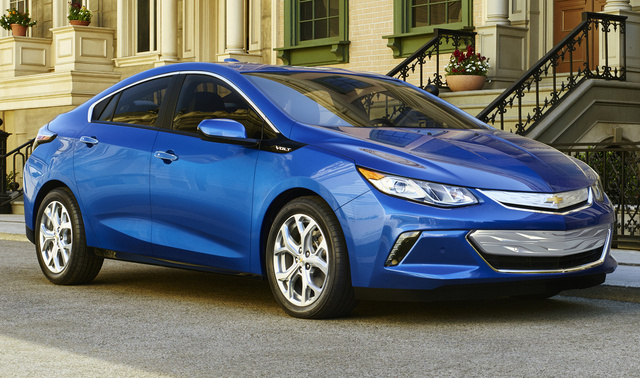 More conventional in appearance, the new Chevy Volt shows a strong family resemblance to the redesigned 2016 Cruze. While this change results in an appealing automobile, at the same time it eliminates styling as a Volt differentiator. While cruising (I’m sorry) around Los Angeles, I saw plenty of first-generation Volts on the road, and they all looked different from everything else. My 2016 Volt, aside from its shiny silver grille, got lost in the motorized sea that is the 405 freeway. If I find the 2016 Volt’s exterior styling less distinctive than before, the interior is a massive improvement over the old car. It, too, is more conservative in terms of design and execution, but the tones, textures, and finishes will age well, and the Volt is loaded with the latest technology. Where the original Volt’s cabin appeared to take design inspiration from the original Apple iMac, this new one is comparatively Germanic in terms of look and feel. What makes the Volt utterly unique is that it combines a 1.5-liter 4-cylinder gasoline engine, located under the hood, with a two-motor electric drive unit that powers the front wheels. The electric drive unit draws electricity from a T-shaped, 18.4 kilowatt-hour lithium-ion battery that resides under the center console and beneath the rear seats. When the battery reaches its minimum state of charge, the gasoline engine starts, but under most circumstances it doesn’t power the front wheels directly. Instead, it serves as a generator for the battery and the electric drive unit. Think of it this way: A storm comes and knocks the power out. You’ve got a gasoline generator in the garage. You hook it up to the house, fire it up, and your family is back in business. The same concept applies here. 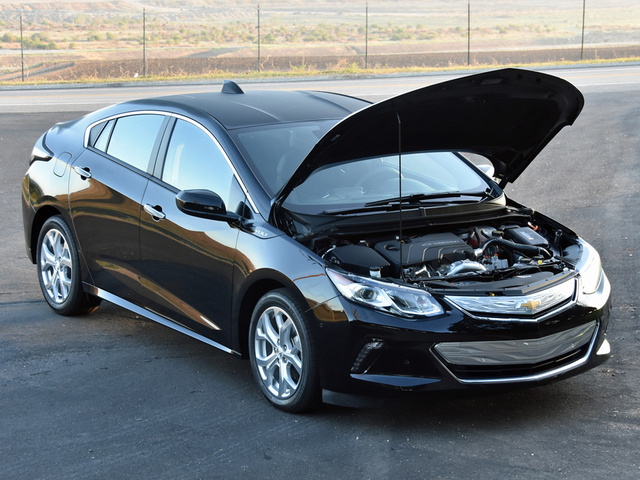 The electric drive unit makes 149 horsepower and 294 lb-ft of torque, which Chevrolet claims will accelerate the Volt to 60 mph in 8.4 seconds on the way to reaching a top speed of 98 mph. Depending on your driving style and route topography, a Volt can travel up to a claimed 53 miles on a single charge. Four driving modes are available: Normal, Sport, Mountain, and Hold. In Normal mode, the car operates on battery power but conserves as much juice as possible. Sport mode maximizes performance over efficiency. Mountain mode fires up the gasoline generator before the battery is depleted, helping the Volt power up steep hills. Hold mode allows the driver to conserve battery power for later, such as when European customers enter restricted city driving zones. If you put the car in Normal mode, use all of the energy stored in the battery, and then run the gasoline engine until the fuel tank is dry, Chevy says you’re going to enjoy 420 miles of total driving range. At that point, you’ll need to find a gas station or an electrical outlet. This illustrates the beauty of the Chevrolet Volt. It serves as an electric car for daily driving, but thanks to its gasoline generator doesn’t spark a single moment of range anxiety in its driver. For the uninitiated, range anxiety is the panic that some electric car owners feel as their battery charge dwindles and they have no idea where the nearest charging station is. You know how your kid freaks out when her smartphone is almost out of charge? Same thing. During my testing of the Volt, I plugged the car in at home each evening, charging it overnight using the standard 120-volt charge cord that tucks into a storage bin inside the cargo area. At a maximum, and by Chevrolet’s estimate, it takes 13 hours to recharge the car using a household outlet. Upgrade to a professionally installed 240-volt home charging system, and it should take no more than 4.5 hours. While charging stations are not as plentiful as gas stations, the actual process of activating one and recharging the car isn’t much different. You can find local charging stations through a smartphone app, but keep in mind that when you’re away from home, you can only use Level 2 charging stations to replenish the Volt’s battery. You cannot use municipal fast-charge stations, which can recharge compatible electric cars to an 80-percent battery level in a half-hour or less. Over the course of a week, my family and I traveled almost 300 miles in the Volt, and we burned a quarter of a tank of gas during that time. Driving the car in its Normal mode, we averaged 106.4 MPGe, a little better than the EPA estimate of 106 MPGe. Officially, the Volt is expected to return 42 mpg when using the gasoline generator, but we got no better than 40 mpg. Not once did we suffer from range anxiety. Not once did we care how much longer we needed to charge the car in order to get a full battery. We came and went as we pleased. One day, we journeyed from home to the Huntington Library in Pasadena, Calif., where charging stations are conspicuously absent from the main parking lot, and did not care about such inconveniences. Like other electric cars, the Volt generates its maximum torque the moment the driver steps on the accelerator pedal, feeling mighty quick at first and then slowing as the pace increases. Whoosh, goes the Volt from traffic light to traffic light. Zoom, goes the Volt up the on-ramp and onto the freeway. This car is easily capable of maintaining extra-legal speeds, too, having no trouble keeping up with the flow on L.A. freeways, which are either moving at a crawl or at 80 mph, depending on the time of day. 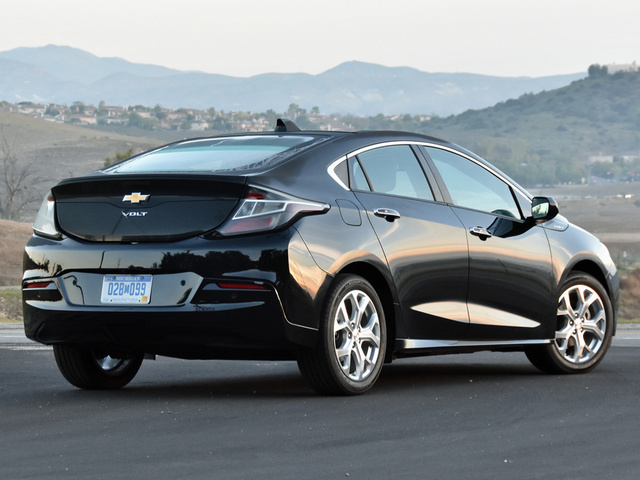 Chevrolet has improved the Volt’s regenerative braking system, too, and now the pedal feels completely natural while the car delivers smooth stops. A Regen on Demand feature is standard, and the driver can use it when slowing or stopping in order to recapture as much kinetic energy from the process as possible. Coasting and braking produce energy, and Regen on Demand feeds this energy to the battery in order to extend range. The feature is operated using a paddle on the steering wheel, and with enough advance planning can bring the Volt nearly to a complete stop. Using it quickly becomes second nature. When driving a Volt, you’re aware of the battery’s weight. This is a small car, but it is also a heavy car, and that weight sits low in the vehicle, giving the Volt a sense of heft incongruous with its size. The ride is firm and a little bit choppy, no doubt in part due to low-rolling-resistance tires, which are designed to maximize range and not cornering capability. Still, you can sling a Volt around a corner at a decent clip, thanks to the ultra-low center of gravity and the beautifully tuned electric steering. Aerodynamic and nearly silent in EV mode, the Volt’s lack of racket amplifies the level of road noise that occupants can detect. Other than the silence, rumble, and weight, though, driving a Volt is like driving any other car, except that you can plug it in as well as fuel it up. 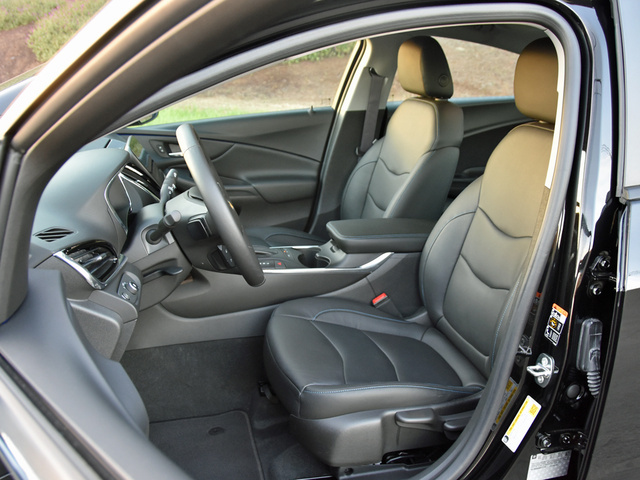 General Motors, which builds the Chevrolet Volt, has come a long way with regard to the quality of its interiors. Now it just needs to apply the gains in a consistent fashion. In my opinion, some elements of the Volt’s interior would not be out of place in a Cadillac. Other elements are clearly designed to keep the car as affordable as is possible. A consistent split between such extremes would serve Chevy well. As I mentioned before, the Volt is a small car. When Chevrolet introduced it, the company announced that it could hold 5 people compared to the 4-passenger, first-generation model. That is technically true. However, nobody will ever want to use a Volt for that many passengers unless no other alternatives exist. My family of four was reasonably comfortable, though the Volt’s rakish roofline impeded entry and exit while also making it hard to help our littlest one buckle up. Up front, excellent seats with a wide range of adjustment accommodate tall people with remarkable grace. This comes at the expense of rear seat room, of course, and though neither my wife nor I needed the amount of seat-track travel offered by the Volt, our kids complained about the lack of legroom anyway. For adults, rear headroom is tight, and solar heating from sunlight streaming in through the rear window makes the Volt’s back seat a generally uncomfortable place to spend time. Don’t expect the Volt to carry much cargo, either. 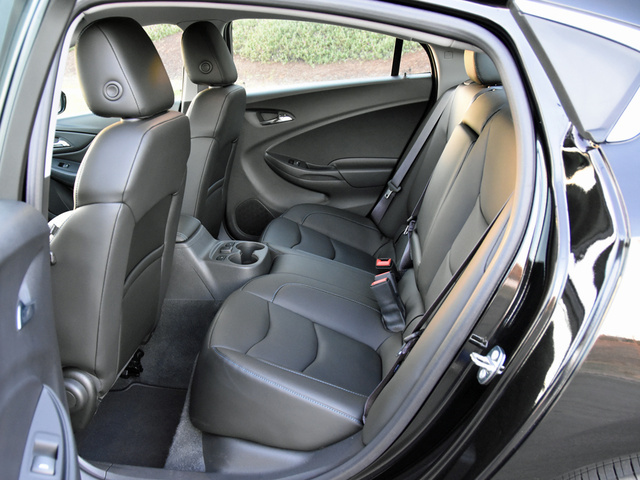 The trunk holds just 10.6 cubic feet of your belongings, and while the rear seatback does fold forward to expand the space, Chevrolet does not provide a measurement for the result. Obviously, the big story in terms of technology is the Volt’s powertrain, which is terrific. Aside from this, however, the Volt is fairly conventional in terms of what it offers on this front. 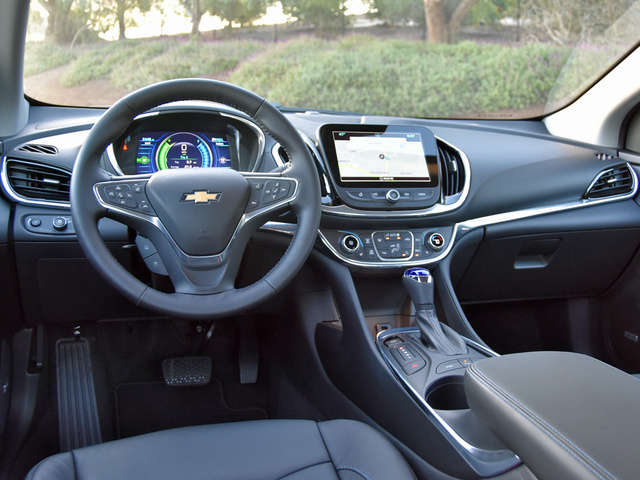 Standard equipment includes the latest version of Chevrolet’s MyLink infotainment system, which supplies faster response to inputs, upgraded graphics, and smartphone projection technology in the form of Apple CarPlay and Android Auto. Unique to the Volt, several displays provide specific information related to the car’s special powertrain, allowing an owner to track efficiency, power flow, and other metrics. OnStar subscription services are also available through MyLink and are free for the first few months of ownership. They include a 4G LTE Wi-Fi connection and several safety-related features, such as automatic collision notification service. For additional detail about the Volt’s safety technology, please see the next section. As this review is published, the new 2016 Volt has not been subjected to crash testing. However, the previous model earned generally high marks in this regard, so the redesigned Volt should perform to a similar or better level. Two different Driver Confidence option packages are offered for the Volt. The first contains a blind-spot warning system with a lane-change alert and a rear cross-traffic alert system. The second adds a forward-collision warning system with low-speed automatic emergency braking, a lane-departure warning system, a lane-keeping assist system, and automatic high-beam headlights. My test car had both of these remarkably affordable packages, and while the forward-collision warning system occasionally emitted false warnings, the rest of the technology worked well. I did, however, ultimately shut off the lane-departure warning and lane-keeping assist system, which made the car feel unusually artificial. Owning a Chevy Volt is likely to be cost effective over time, even if selling a used one could prove almost impossible in a nation where unleaded costs less than two bucks per gallon. After the federal tax credit and any state or local rebates, the Volt is easily affordable. People with shorter commutes and reasonably predictable schedules will find themselves making infrequent stops for gas, saving even more money. If you’ve gone solar and are off of the grid, the electricity used to charge the car at home is almost free. Plus, based on the performance of the previous Volt, this new one is expected to prove reliable over time. Is this a big deal? I think so. Maybe you don’t agree. And maybe you’re right. What I love about this car isn’t the styling or the quality of the interior or even how it drives. From my perspective, the great thing about the 2016 Chevrolet Volt is that it provides enough driving range to legitimately serve as an electric car for most of your daily driving requirements, yet you could get into it right now and drive from California to Maine without once worrying about finding a charging station or an electrical outlet. Like I said before, the Volt is a perfect bridge to the future, whatever that future may be. 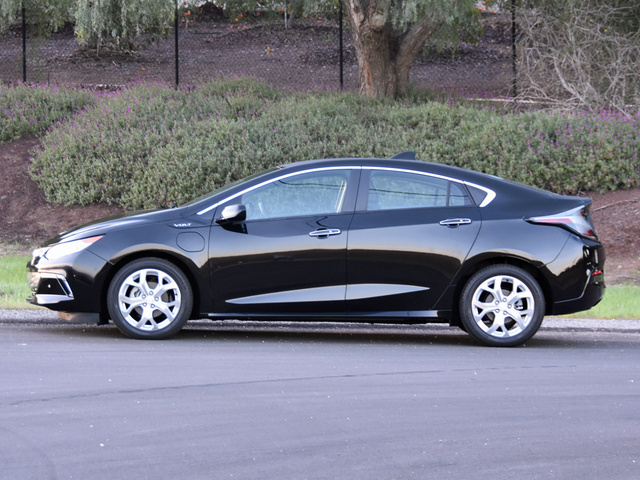 What's your take on the 2016 Chevrolet Volt? Jackets The styling between the 2015 and 16 is enough to wait for a 16. I drove one and was blown away with the power, the leg room and the technology. I would want one with an exterior color that highlights the black trim, not a black one that makes it look rather common. Thanks. It's too pricey right now. I need tot wait until that Premium package comes into the low 30's. May never?! 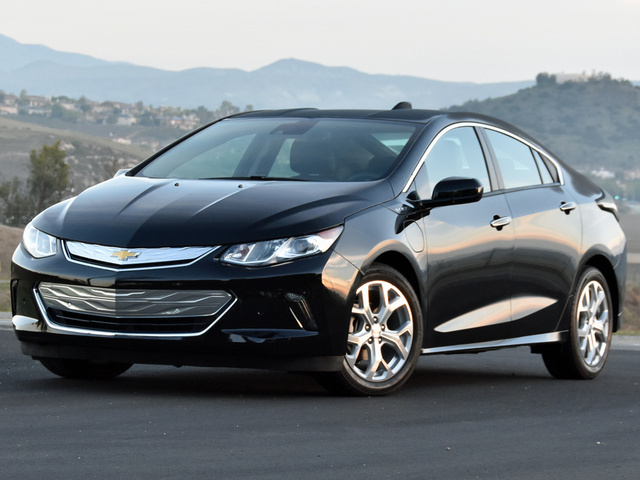 Have you driven a 2016 Chevrolet Volt?